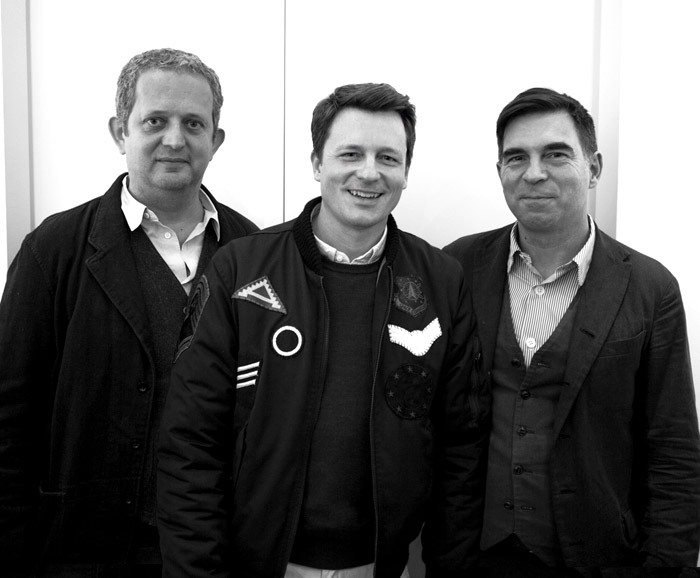 To mark the 10th anniversary of their brand, Ivan Pericoli and Benoît Astier de Villatte traveled to Berlin to introduce three new Eau de Colognes to the German perfume crowd at the beautiful MDC store in Prenzlauer Berg. SCENTURY seized the moment to chat with the Parisian perfume duo about fragrance and the concepts behind their new scents in particular. Astier de Villatte was founded in 1996 when Ivan and Benoît launched their furniture and white ceramics brand. To this day they are the only ceramic makers in Paris. Dinnerware, vases, and candleholders are produced in their studio on Boulevard Masséna and shipped all over the world. In 2000, they opened their boutique at 173 Rue Saint Honoré, near the Louvre, and in 2008 they teamed up with perfumer Françoise Caron to launch a series of Eau de Colognes. 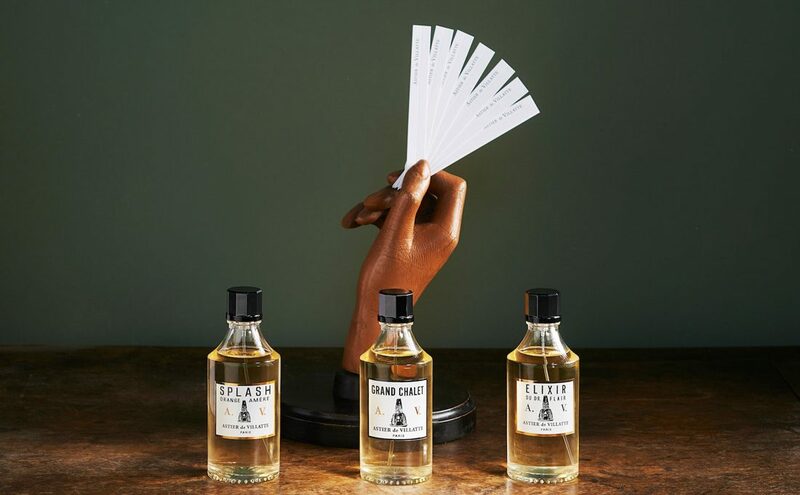 The newly launched trio has been designed by Françoise Caron (Grand Chalet, Elixir du Doctor Flair) and Christophe Raynaud (Splash Orange Amère). 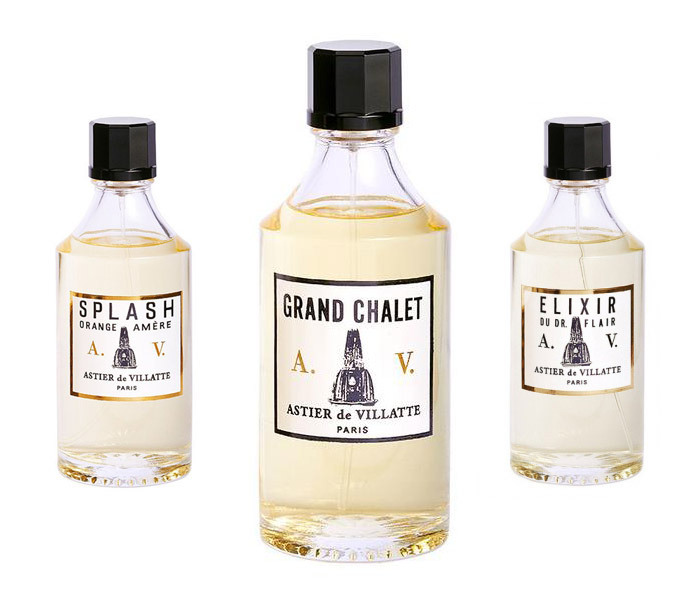 Splash, Grand Chalet and Elixir by Astier de Vilatte. SCENTURY: Why do you focus on cologne, not eau de perfume or eau de toilette? Ivan Pericoli: Our two families always used a lot of cologne, so that is probably the formulation we’ve always been used to. We like the idea of offering something refreshing that gives you a kickstart into the day but isn’t projecting too much. Plus our colognes are not only colognes in terms of concentration, but also in terms of the ingredients we use. All seven scents from the line have a citrusy base. Obviously each takes a different direction from there and is really unique. SC: Did you have any contacts in the perfume industry when you started the fragrance line in 2008, or was that world uncharted territory for you? Ivan Pericoli: We had no network in the perfume industry whatsoever. Our first attempts to work with perfumers didn’t work out that well, we didn’t really click and we weren’t satisfied with the results. We were almost losing faith in the project until we accidentally met Françoise Caron — sparks flew immediately. SC: How exactly does the creative process work? Benoît Astier de Villatte: We usually come to Françoise with very simple little stories or with things that we love: an ingredient, an image … she likes that approach because usually the industry is very complicated. Usually she’s spot on with one of her first tries. SC: Splash, the first of the three new scents, seems to be an amazing summer fragrance. Is that what you had in mind? Ivan Pericoli: This one is the first from our line created by Christophe Raynaud and there’s a funny story behind it: when we briefed him he came up with a number of scents. We somehow liked all of them but we didn’t quite feel like we were there yet when Christophe said, “Look, here’s one I created for myself and have been wearing for years now, it might actually fit the brief.” And that was it, we simply loved it! 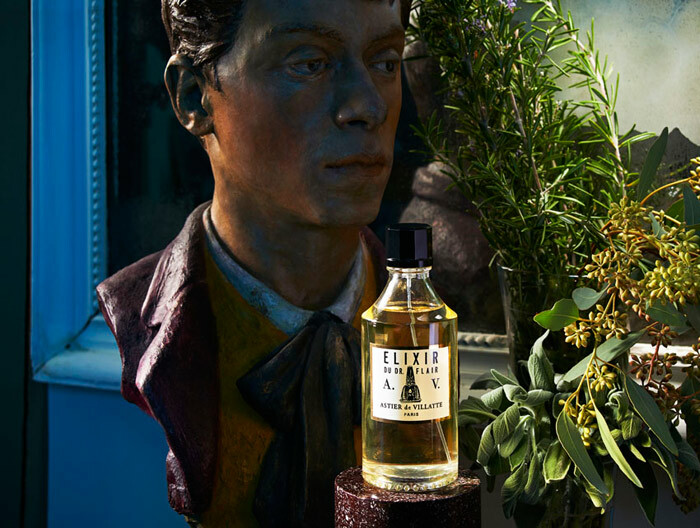 1 out of 3: Elixir by Astier de Violate. Photo: Astier de Vilatte. SC: Elixir du Docteur Flair, the second one, features many woody and spicy ingredients whereas Grand Chalet is on the lighter and more floral side with its most prominent ingredient being lime blossom. Did you know the lime tree is the signature tree of Berlin? Ivan Pericoli: We didn’t, but someone just told us when we arrived. I find that amazing. SC: You should come back in early summer and take a stroll Unter den Linden then to enjoy the intoxicating scent. Ivan Pericoli: We’ll definitely do that! During the interview: Benoît Astier de Villatte, Ivan Pericoli, SCENTURY’s Helder Suffenplan.